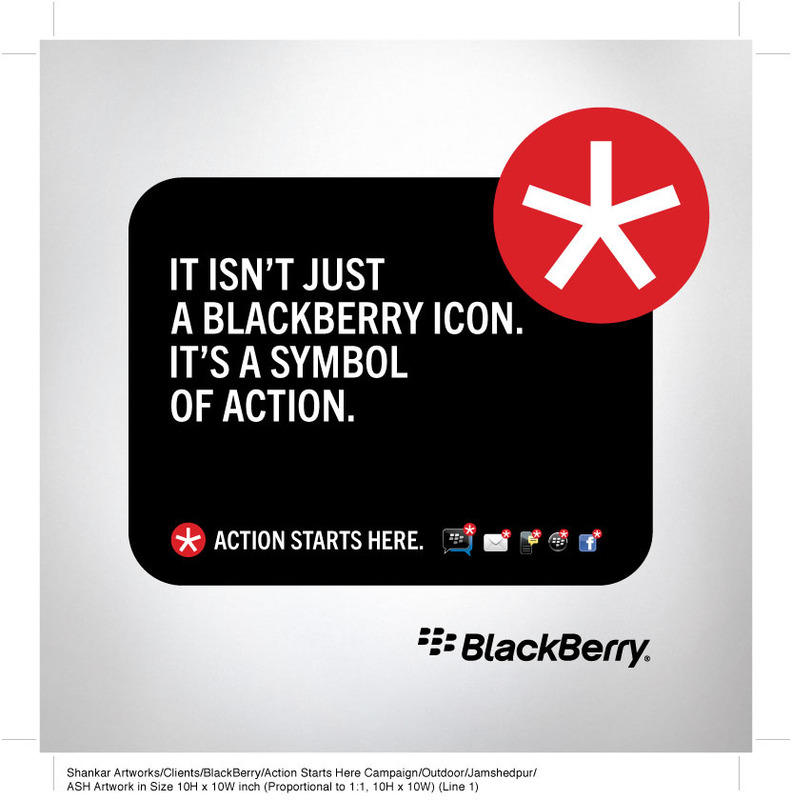 BlackBerry India has launched its latest campaign which revolves around the thought 'Action starts here'. Conceived by BBDO India, the campaign was launched in Thailand before it was launched in India and will be launching in other Asian countries in the near future. Explaining the new campaign, Josy Paul, chairman and national creative director, BBDO India, said, "It all started when Sunil Dutt, the new head of India operations for RIM asked us the all important question 'What does BlackBerry stand for?' Along with Krishnadeep Baruah, Amisha Sethi and the marketing team at RIM, we developed the idea that every BlackBerry is born for action within five days.There's an inherent urgency for action built into it. Look at the red splat that appears every time you get a message. The sign refuses to go away until you take action. The first thing we do when we wake up in the morning, is check for the red splat. 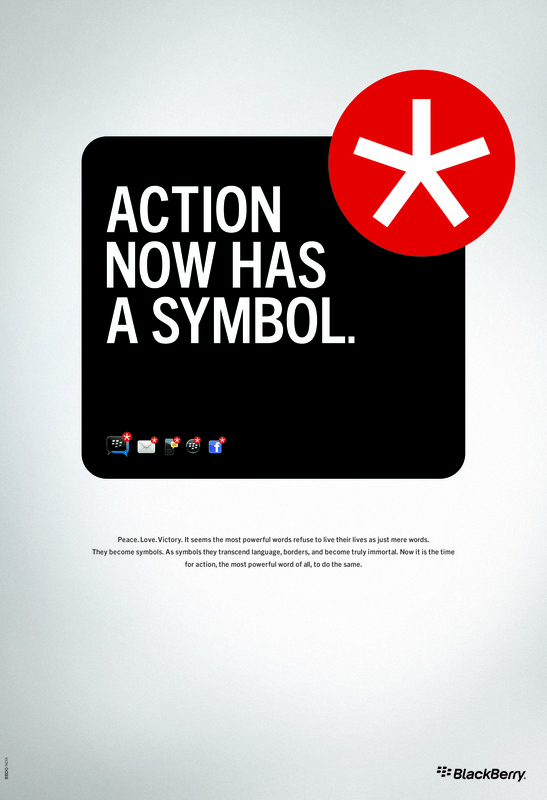 That's how we created the launch ad 'Action now has a symbol' and the brand line 'Action starts here'. That's what differentiates BlackBerry from other mobile phones." The TVC went on air on 12 August. It shows people from different age groups describe their current actions. The film opens in a nursery where a girl is shown holding a plant in her hand and she says 'My action is to turn the world green'. This is followed by a girl shown running, and she says, 'My action is to look a little more lean'. She's followed by a man shown jogging and he says, 'My action is to get in to his old jeans'. Several more instances are shown in the film with people describing their current actions before a voice over cuts in to say, 'Whatever your action, it starts here'. A print ad preceded the film on 9 August, and described the relevance of action in our lives. Paul explained, "The front page manifesto spoke eloquently about the meaning and relevance of action in our lives. And connected it to BlackBerry, the symbol of action.The film glorifies the action people in a simple, engaging way. And invites you to share your passion for action. There's a whole range of situation-based outdoor, poster and OOH ideas that will be unraveled across the country. A massive digital, activation and a movement idea is also part of the plan. The work has been well received so far, and will also run across Asia. The campaign has already launched in Thailand, and the first reports are very good."